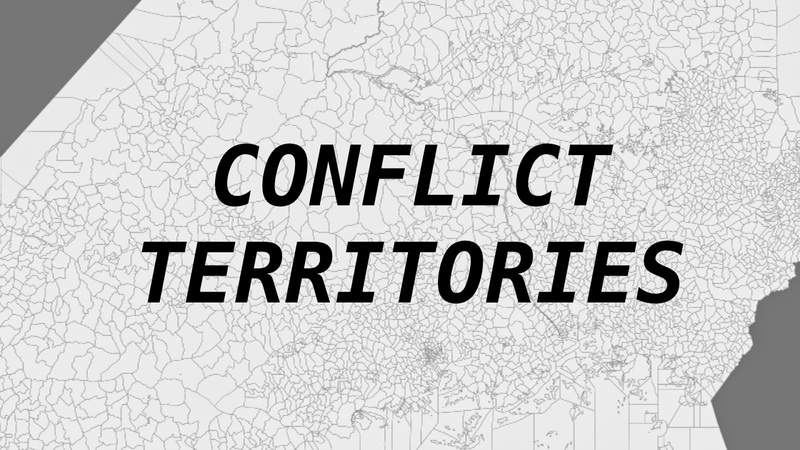 Having just written up my notes from the talk I gave at IMAL's Connecting Cities Urban Media Lab, the video is now published in which I joyfully bumble my way through 45 minutes of categorised extracts from the Designed Conflict Territories tumblr and try to think to myself about why anyone might care and why it might be important. Next week I'm leading a summer school for RCA Design Interactions students (and recent grads) at the Venice Biennale's Swiss pavilion as part of their program 'School of Tomorrow' a series of design-schools-in-residence happening throughout the period of the Biennale. There's some info on the brief I wrote for it here. The guys at UrbanIxD just hosted an exhibition in Split, Croatia as a run up to their show for the Venice symposium which I'll be attending at the end of September. There's some photos here which look pretty cool. They had James Auger over to deliver one of his guest lectures and exhibited Blackspot from the Monopoly of Legitimate Use as well of a couple of films from the students at the summer school I taught on last year. 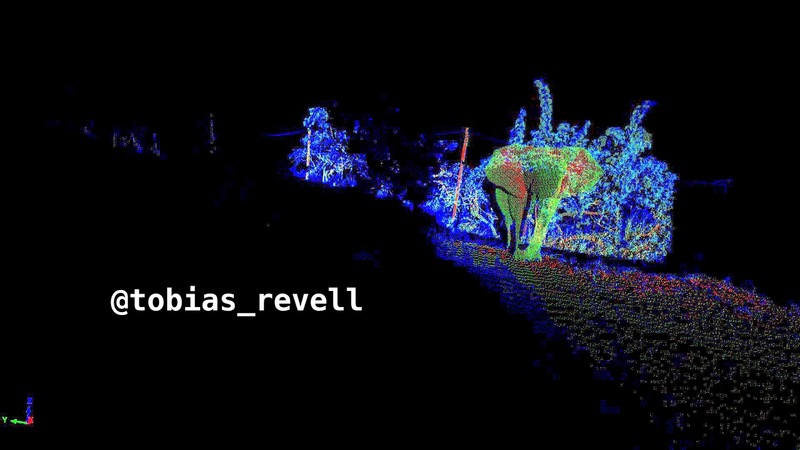 The Venice Symposium - City Data Future - is on from the 24th September in Venice and there's a symposium on the 25th which I'll also be attending. In addition to this I was also part of an online conversation about UrbanIxD, what it is, what it could be etc, with Han Pham and Manu Fernandez which is online here. To round it off, we conducted a live twitter chat for an hour last Friday as well which has been storified here. This year I'll be giving a keynote at Web Directions South in Sydney. The conference is 30th-31st October and I'm hoping to come up with some brand new and mega fresh stuff to talk about particularly following some of the plans I have for the summer to start messing around with mesh networks and so on. This paper examines the modern potential for exit spaces, places of exile and protest, disengagement from the mainstream and agonistic practice, with reference to historical precedents. Taking Albert O. Hirschman’s concept of Exit, Voice and Loyalty as responses to political upheaval, the paper examines a history of the securitisation or ‘flat-packing’ of protest through legal restraint, the militarisation of the police and political manoeuvring. 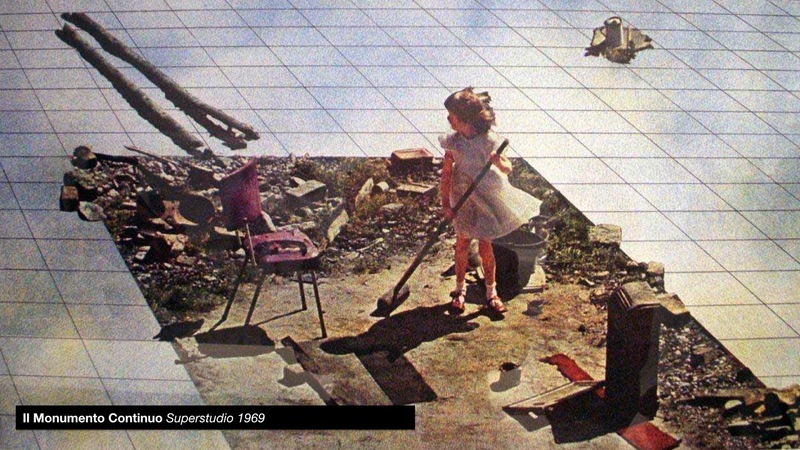 Three case studies are used as examples of alternative modern responses to the desire to create exit spaces outside of the standard political hegemony. Firstly, the rise in neo-Randian libertarianism among the Silicon Valley elite, in which increases in private funding for space programs, earnest seasteading startups and rhetorical conflicts with government and legal bodies show a distinct desire amongst the ‘custodians’ of modern technology to flee or exist outside of the restraints of government. 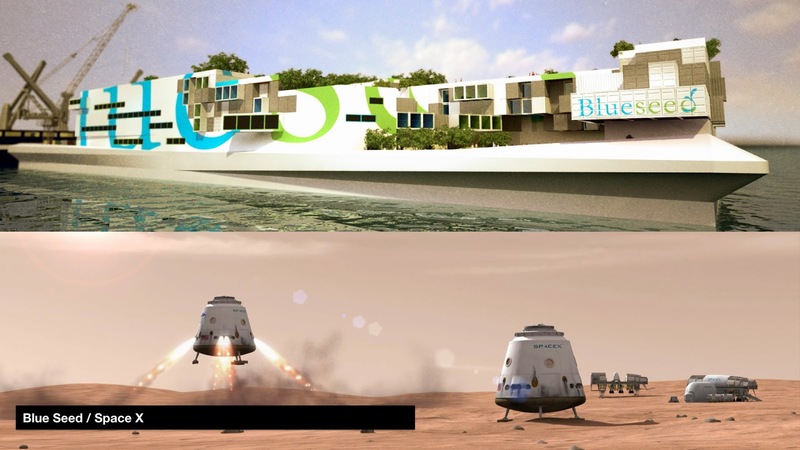 In this example, the ideas of Mars colonies and artificial islands as tax havens are representative of a real and pressing drive to break the state’s regulatory bonds over business. 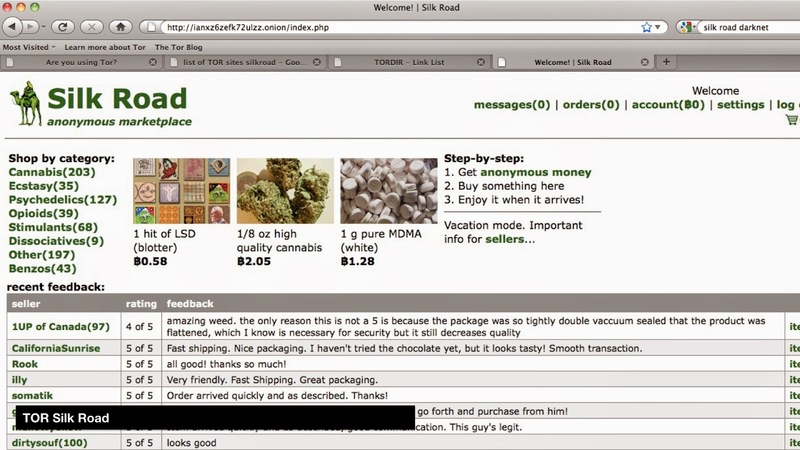 Secondly, the Silk Road provides an example of extra-statecraft operating from within the network, where, through the use of anonymising technology, a narcotics marketplace actively traded, utilising state infrastructure such as postal services and public wi-fi in the sale and distribution of illegal drugs. The third case presents the rise of mesh networks in Athens as a response to government shutdowns following public protests against austerity and its role as activist network infrastructure. The popularity of these ad-hoc networks has since been further accelerated by the Snowden revelations of NSA surveillance. 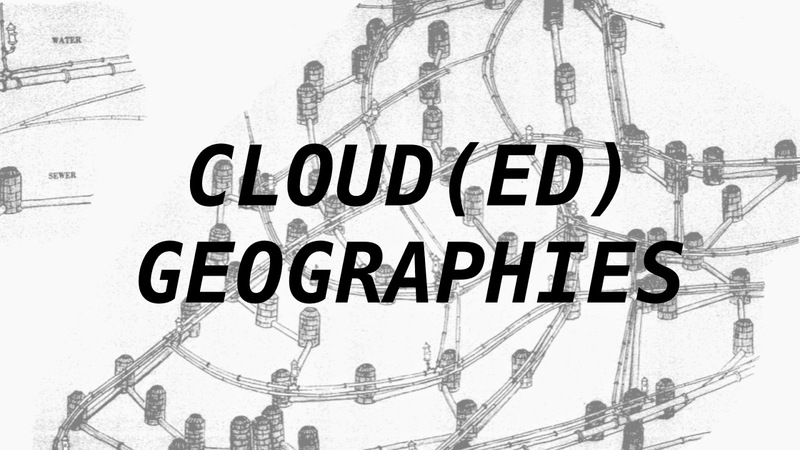 Though mesh networks are relatively slow and inefficient, they represent the construction of a new class of territories, wherein the relinquishing of state-backed infrastructures of pipes, routers and wires promises a space of free discourse and political empowerment. We face a new age of political upheaval, chronically lacking in space for polities to act without corporate power or illegal subversion. Chantal Mouffe highlights that we lack agonistic spaces for real political conflict that enable us to feel that our Voice (in Hirschman terms) is valuable or caries power, while David Graeber speculates that political apathy is born of an 'apparatus of hopelessness.' These Exit Spaces present examples of how new apparatuses might lead to new kinds of political action might be built in an adversarial role. 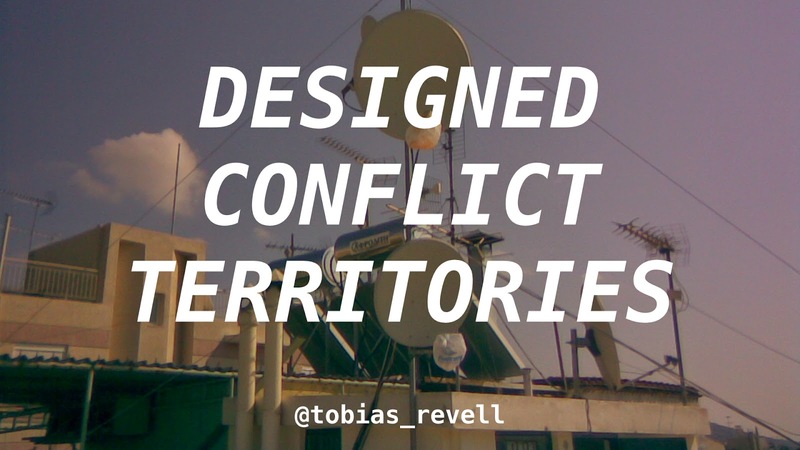 I was asked to come and talk about Designed Conflict Territories which isn't really a project as much of a strand of research and observations and analyses that was kicked off by an essay I wrote back last summer. I was in the midst of lamenting the inability of political action to perform change, largely down to the way that physical and legal space is so well securitised and controlled. 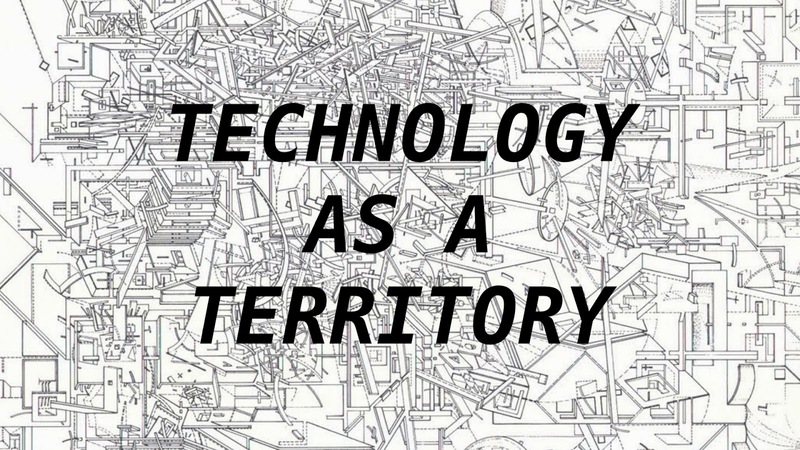 What then became interesting was ways in which technologies, used in a bottom-up way and distributed at the right time, in the right way, in the right place, became more than just political tools, they became political territories. While we were talking, Google very, very gradually built a future around us. (Please replace Google with whatever or whoever you like to satisfy your own biases.) The point stands that the entities constructing and steering our futures, or what they often like to call the future - with all the baggage of powerlessness and inevitability that that wording brings - aren't states, and they work on a completely different geopolitical strata: There is no town square for Google. The idea centres around the nature of potential new political commons, perhaps nascent in some of the technologies we're seeing crop up in unexpected places, particularly places where necessity and subsistence become priorities. I originally intended to try and discover, perhaps even create what this kind of political space might look like in the future but it's become apparent that a Designed Conflict Territory is a unicorn. In the sense that it doesn't and can't exist but we are aware of how it might look. Much like dinosaurs were confused for dragons and rhinoceros' for unicorns, we can establish some of the properties of a DCT and that general space and what it feels like, so that's what I'm going to do. We being in 1968, which for designers is in the middle of a pretty significant period. We were in the dizzy heights of modernism. Design had moved from creating solutions and necessary devices to creating things that people desired, that had a real aesthetic but that anyone could own. This was through the mastery of industrial and capitalist processes that made it cheap and easy to manufacture and distribute beautiful things. 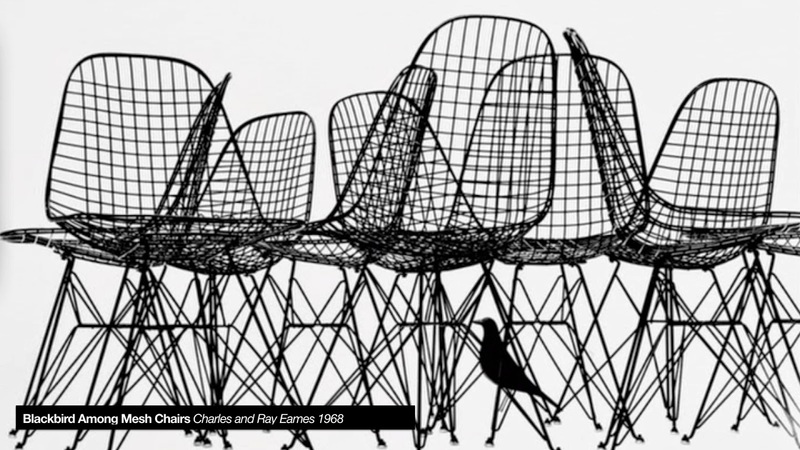 The Eames' were perhaps the height of this period, creating some of the most recognisable designs and this advert for their wire chairs from 1968 has sort of gone down in legend. Around the world in Italy were a movement of designers called the Italian Radicals. They believed that the world didn't deserve design and architecture, that it served as a tool of the markets, ready to deceive and undermine the free will of new consumer populations. The Continuous Monument is perhaps the most recognisable output of this period - a vast homogenous structure that encircles the Earth, undermining the individuality of cities. They saw the advance of globalisation and design as removing the identity of distinct cultures, thus the world may just have one gigantic identikit structure that was as efficient as possible. There's something else that's very important here which is the idea of legibility. The monument has a clear and indivisible structure, recognisable from any angle. It's all right angles and perfectly reflective surfaces. It is simple and abstract. Even zooming in we see the surface is constructed of a grid-like surface which can easily be measured and divided between the monument's population. 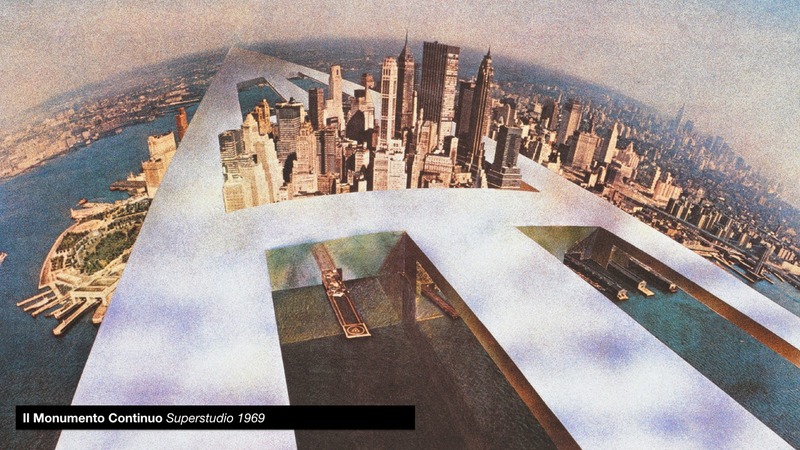 This period, as well as seeing the rise of modernist design also saw the rise of technocracy, bureaucracy, the superstate, the corporation and total statecraft. The Continuous Monument is a comment about the ruling ideology of the times - an ideology that relied on making the world around it legible to be ruled. The utopian, immanent, and continually frustrated goal of the modern state is to reduce the chaotic, disorderly, constantly changing social reality beneath it to something more closely resembling the administrative grid of its observations. This project takes on three stages: Firstly the world must be edited so that only the items necessary to make observations towards your goal are necessary - any other things are disregarded. Secondly it must be abstracted in the sense that on a chart, all people are the same, in a forest, all trees are the same. They are all signified by a singular model of what that thing is. The third is the most insidious part, to aid in this project, the world must be reformed in the image of the abstraction. Early on in his book, Scott uses the example of German forestry at the end of the eighteenth century which is where we also get the word 'sustainable' from (in the sense of being able to consistently produce forest yield as originally intended.) 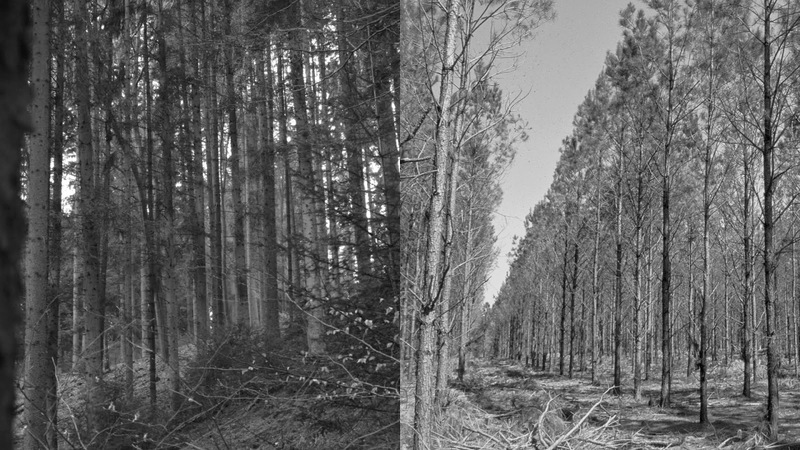 The forestry scientists calculated the perfect requirements for growing as much lumber in as short a time as possible. 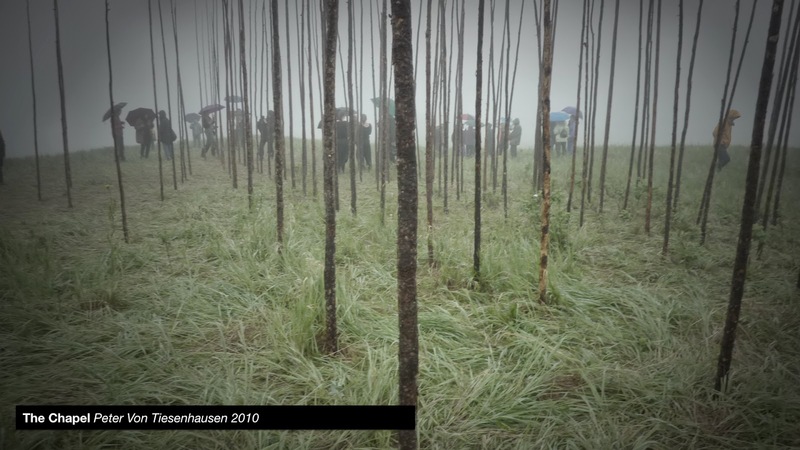 Each tree was given it's own exactly necessary space, scrub and underbrush were cleared away and the trees were arranged in rows so they could be easily counted and measured. This worked really well, and vastly improved the efficiency and yield of the forest. The first two times. Of course, they soon discovered that by destroying the natural ecosystem, the soil had become infertile and as such subsequent yields ended up stunted or failing entirely. Using this as a metaphor we move forward to how this mentality is subsequently applied to human populations - Corbusier's Radiant City. Paris is like catnip for city planners and Corbusier hated it. He wanted it demolished and replaced with the city of his design - tall even towers and wide avenues. This was the age of the machine, the worship of the car. Machines were legible, understandable, you could read and identify broken parts, repair or dispose of it as and when. If machines are so efficient, why not cities? Of course, very few of these high-modernist designs for fascistic utopias succeeded save for Brasilia and Corbusier's own Chandigarh in India. Until 1968, most world revolutions really just introduced practical refinements: an expanded franchise, universal primary education, the welfare state. The world revolution of 1968, in contrast… was a rebellion against bureaucracy… as a result, in most cases, the rebels didn’t even try to take over the apparatus of state; they saw that apparatus as itself the problem. 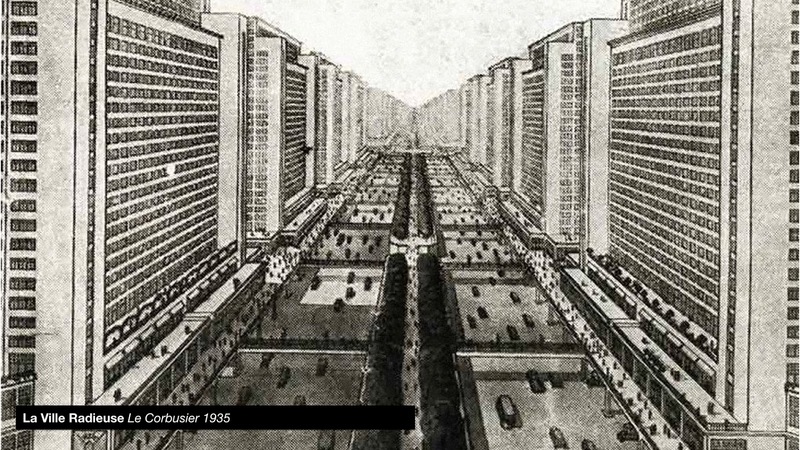 Fast-forward 80 years from Corbusier and we get to the ceaseless stream of slick renderings and software promises of the Smart City. Much like Corbusier and the other master planners, these images are devoid of life or human chaos and activity. They are designed to be machine readable and understandable at the level of software. These low resolution renderings enact the IT industry's Cthulu mythos of 'big data' but they are not places for people to live. While Corbusier - now widely categorised as fascist in his vision - worshipped the machine, we now worship data with its same lusty promises of 'growth.' But data is abstract, it is not a reflection of life, it is a reduction of it. A city cannot be a work of art…. In relation to the inclusiveness and literally endless intricacy of life, art is arbitrary, symbolic, and abstracted. That is its value and the source of its own kind of order and coherence… The results of such profound confusion between art and life are neither life nor art. They are taxidermy. In its place, taxidermy can be a useful and decent craft. However, it goes too far when the specimens put on display are exhibitions of dead, stuffed cities. 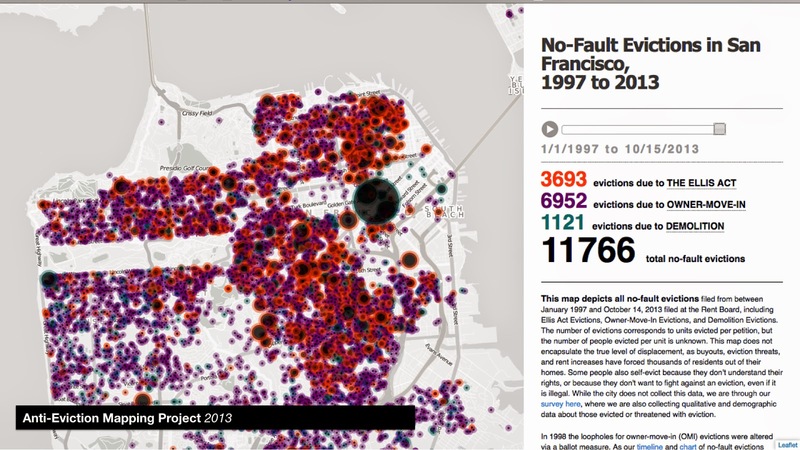 These smart cities are taxidermic Latourian black boxes. The economic plan, survey map, record of ownership, forest management plan, classification of ethnicity, passbook, arrest record, and map of political boundaries acquire their force from the fact that these synoptic data are the points of departure for reality as state officials apprehend and shape it. In dictatorial settings where there is no effective way to assert another reality, fictitious facts-on-paper can often be made eventually to prevail on the ground, because it is on behalf of such pieces of paper that police and army are deployed. So, bearing that in mind, we find ourselves at the first noticeable property of a Designed Conflict Territory, that is its relationship with the physical surface of the Earth. 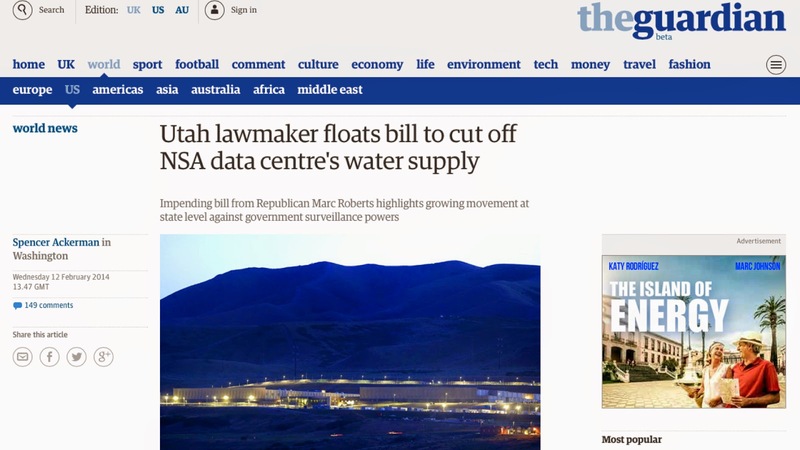 Since the Snowden revelations, there have been several campaigns mounted at cutting off water from the NSA's data centres around the world. What this hints at is the connection between the network and the Earth. That this is not an invisible, software thing that lives in the enter of the network, but is something that inhabits the world and needs its resources. The logic here is that if you cut off water, they won't be able to cool their servers and the workings of the centre will fail. This dismisses the myth of dualism in the digital but also exposes the possibility of exploit at the vulnerabilities of these massive systems. 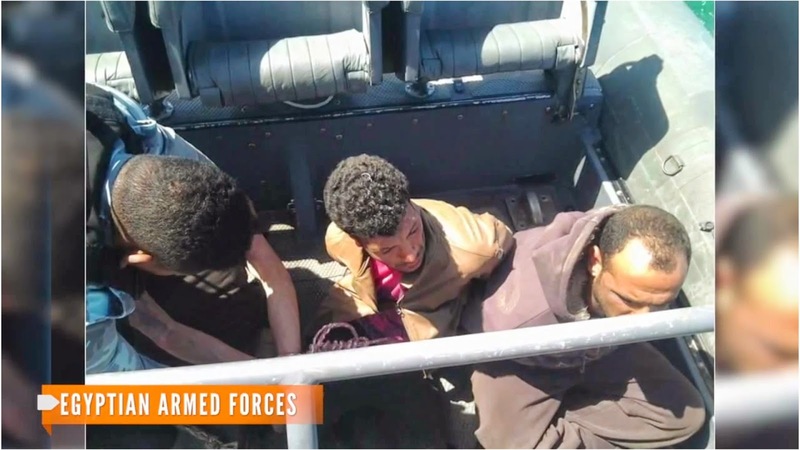 Similarly, these three guys cut through the fibre optic cable that feeds the Internet into Egypt during the first revolution. In Georgia in 2007 a 75 year old woman digging for scrap copper managed to cut off the Internet to Armenia. There's an interesting interplay between subsistence and the invisible here where the demands of revolution and survival come into immediate focus before some invisible, intractable system buried underground. This is not a thing unique to the 'rest of the world.' 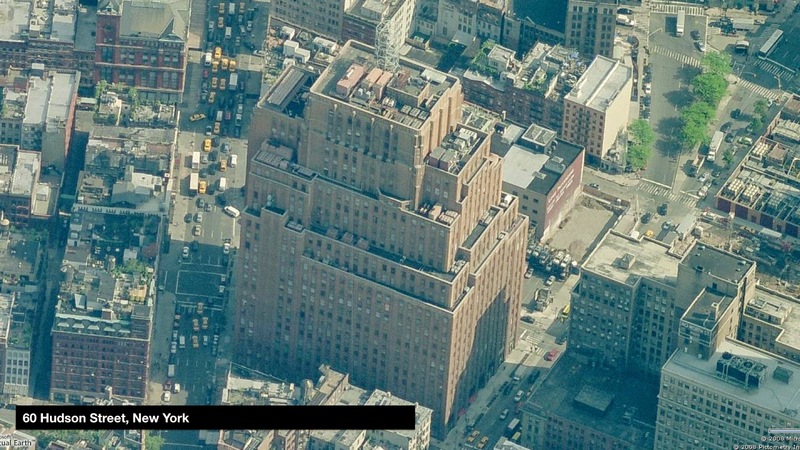 This is perhaps the most important building in New York in many ways, it's where undersea fibre optic cables form Europe surface. It's had significant effect on property prices as banks try to move their centres as close to it as possible to cut trading speeds. How this relationship between the physical and the planetary computer are exploited then become interesting. Beyond simply cutting through cables, there are numerous other relationships to be explored. 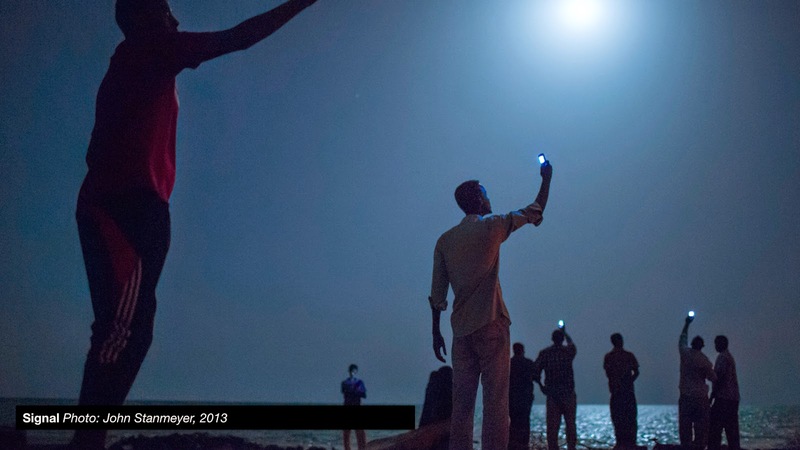 This photograph shows Somalian immigrants to Djibouti standing on the shoreline trying to pick up Somalian cell networks which are significantly cheaper. Here we have a prime example of one of the major types of conflict - the one between network and state. Where state-imposed boundaries and legal structures begin to conflict with networks we get strange artefacts. There are many, many exciting and important things we can do but we can’t do because they’re illegal or not allowed by regulations. As technologists we should have safe places where we can try out new things and figure out the effect on society and people without having to deploy into the normal world. People who like those kind of things can go there and experiment. We can see here Google's gradual encroachment of physical space, from mapping where they began to launching satellites to gather real time data as they are doing now. The bounds of the network have been exceeded and they begin to leak out into the physical. Meanwhile, back at home, these guys have wreaked havoc on San Francisco. The tech boom has brought gentrification and rocketing house prices, dragging old laws back to the limelight that means tenants can be forcibly evicted without protection. It's interesting to think of San Francisco in the years to come as a kind of simulation ideal of the Californian Ideology rather than an actual place that people live - another taxidermic city. This again is endemic of the DCT space, where network power has an effect on the legal and infrastructural frameworks of the physical realm it inhabits. And this of course has predictable results. 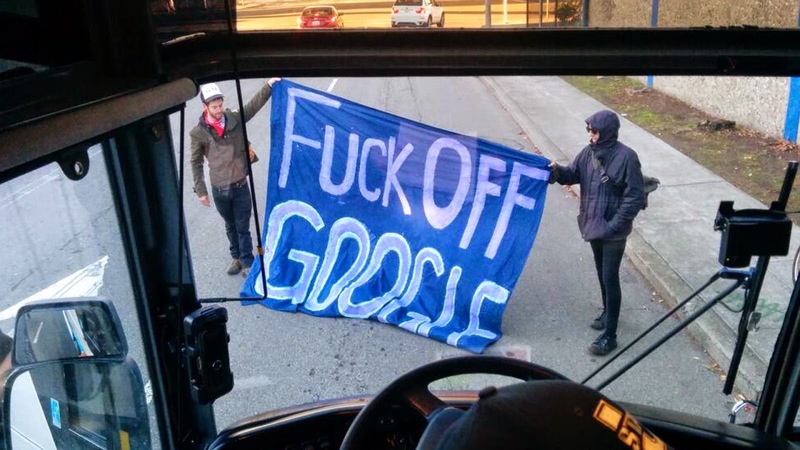 What's interesting here is not so much the protest but the fact that the protest was against the seizing of public infrastructure - bus lanes - by Google. The busses are the only real physical presence that this system has in the city itself and they become the signifier that is protested against. So then these flash points become interesting because, as mentioned earlier, they're points where these systems reveal themselves as they rub against each other. 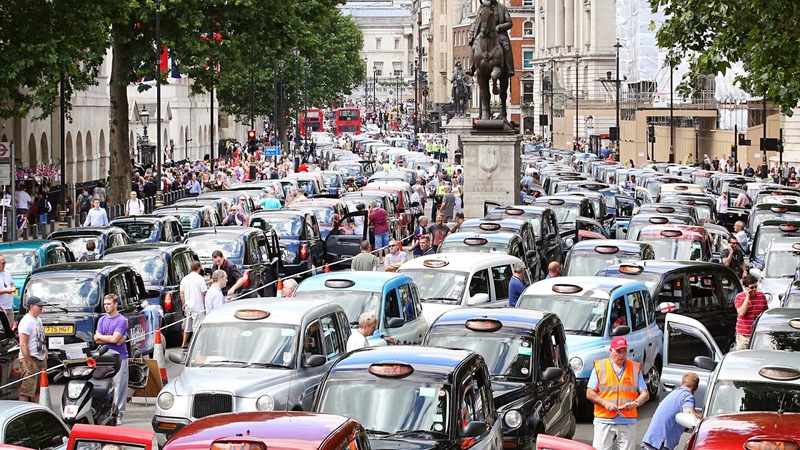 Last week in London the black cabs did a sit-in in central London, disrupting traffic. Although the protest really wasn't about Uber as much as the press claim, it's still interesting to think about how 'seizing the means of production' here means the road infrastructure itself. Equally, legal frameworks are central to this argument. This is The Chapel by Peter Von Tiesenhausen, a Canadian land artist. This is more than land art though, it's also legal protection. A large gas company wanted to dig up his property and run pipes underneath it in return for a fractional renumeration. However, by declaring himself an artist at putting art on the land, he increased the renumeration value per acre from $200 to $600,000. He also registered himself as a consultant which made him entitled to charge the gas company $500 an hour for speaking to him. He of course quickly found that they left him alone. Again, we focus on the exploit. There was no way he could afford a sustained fight on the same territory as a large gas company. However, by taking a new position and moving himself inside a new form of legal territory he created levies that made it very difficult for the company to challenge him. Additionally, this little conflict centred around control of the physical. We also begin to see these conflicts leak into pop culture. Dazzle camouflage has become something of a pop culture item following the work of Adam Harvey - who describes himself as 'somewhere between DARPA and Vogue' - designing clothing and makeup to be surveillance-proof while remaining fashionable. We begin to see William Gibson's 'the street finds its own uses for things' enacted. 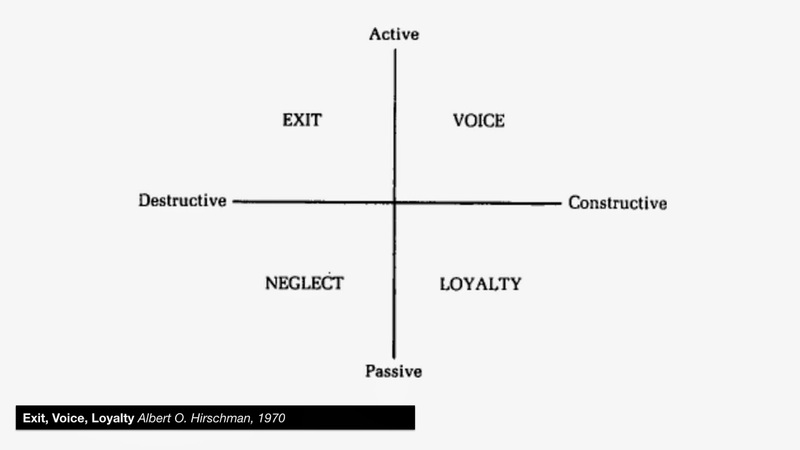 Back again at the end of the sixties, Albert O. Hirschmann wrote about possible responses to poetical unhappiness: Exit; leaving and going elsewhere, Voice; protest, Loyalty; which is to concede and remain loyal, or Neglect; to ignore the situation. Something I wrote about early in DCT is the idea of shocked acquiescence, which would be categorised under 'neglect.' Loyalty is obvious but the forms of voice and exit become interesting when we are not only out of physical land space but when protest is so securitised and locked down. This idea of locked-down or flat-packed protest is something common to modern political discussion. Where popular protest takes the form of slacktivism or clicktivism or is a legal concession on the part of the state to the needs of the people. 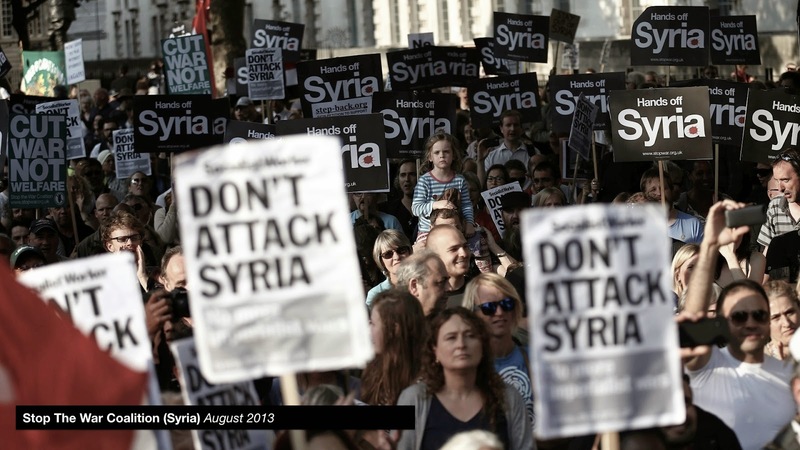 The anti-war protests of 2001 perhaps best demonstrate this. The world's largest single-issue protest of all time did nothing to change the course of history and perhaps forever doomed protest as a powerful form of dissent. Occupy stood out from this by a rigorous and cunning understanding of the frameworks under which they were operating which allowed them to exploit and subvert the established norms of protests. So I quickly began thinking of technology as a territory, particularly in reference to exit and voice, as a place to hold and a place to protest and so a large part of DCT focuses on instances of where technology has been turned into a territory acting outside the onus of the state for its benefit, to provide an imaginable alternative or to give space for protest. There's also a point here about how these technologies have the capability to make you illegible and deny the project of legibility. The Silk Road is a pretty insidious example of technology serving as a territory in the pursuit of extrastatecraft. The dark web, according to estimates is anywhere between 20-5000 times the size of the surface web and is largely illegible. 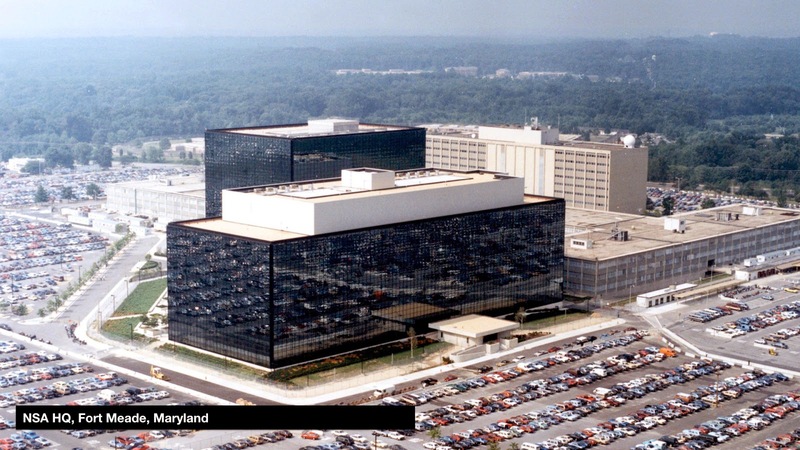 The NSA has even had trouble penetrating it properly. Dread Pirate Roberts ran the Silk Road off San Francisco public library wifi in a manner similar to Google's use of the bus lanes but at a much less visible scale. 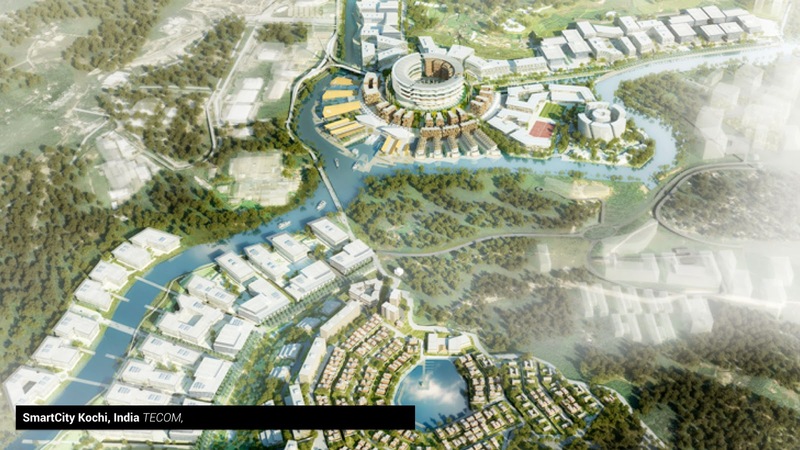 Here he created an actual functioning libertarian paradise without the oversight of the state to impede the project. My personal favourite and what I see as a kind of cornerstone in these things is the Athens Wireless Metropolitan Network, a mesh network in Athens constructed in the wake of government censorship following protests against austerity. It's an entirely parallel Internet that functions on a peer-to-peer basis. There are around 2,500 nodes and the system has no bottlenecks - there's no cable to be cut or 60 Hudson Street to be taken out that would mean the system fails. It is supported on the joint trust of users. This is the form of smart city we should want to see in the world but it is one that again, is formed out of necessity and a desire to survive rather than on the onus of the users. Equally, distributed solar power becomes incredibly interesting. 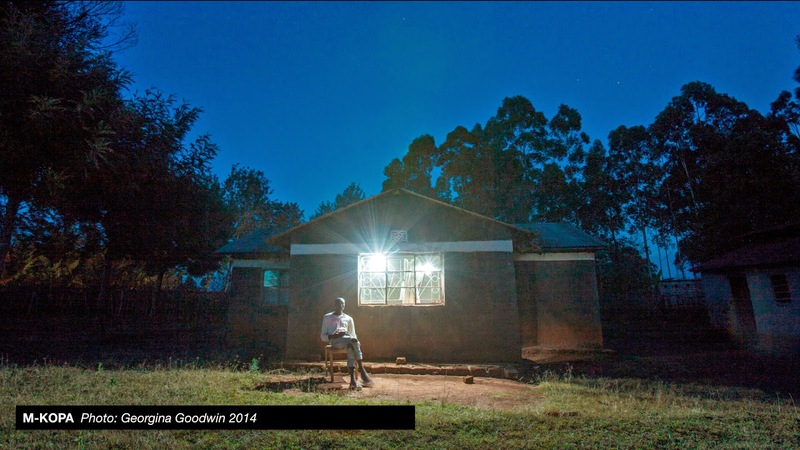 M-Kopa is a system of getting solar panels into the homes of people off-grid to supply them with power. This is a noble cause but it has significant long term impact. 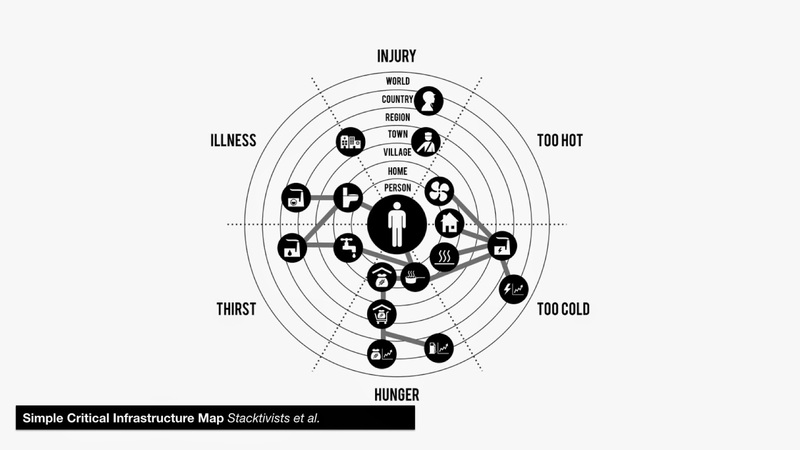 Thinking back to that stacktivist diagram, it implies a developing population that grows without reliance on the state or large infrastructures, that much like the AWMN are self-supportive without a tap or bottleneck to cut off for threat or control. 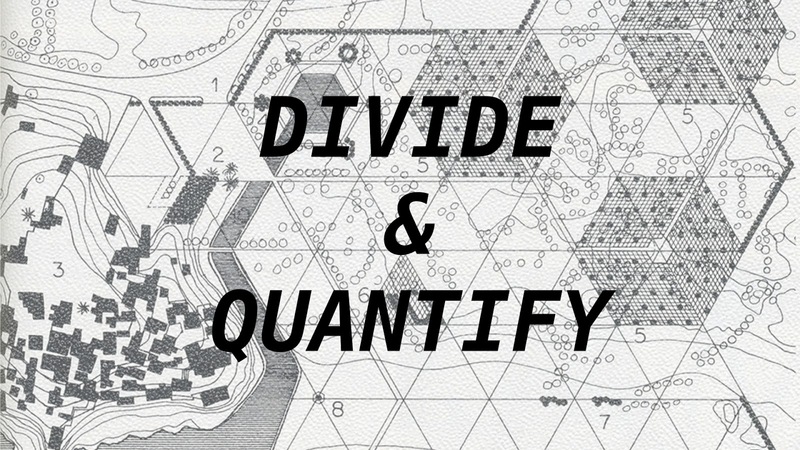 Ultimately DCT is a project of categorisation - of finding and analysing points of conflict in the vertical geographies of our current system as well as noting glimmers of imaginable alternatives and the kind of implications these may have on Bratton's planetary computer.